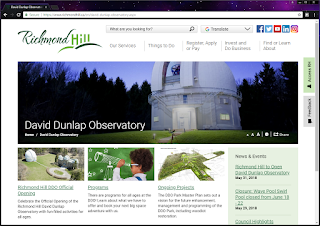 Check out the web site for the David Dunlap Observatory (owned and managed by Richmond Hill). 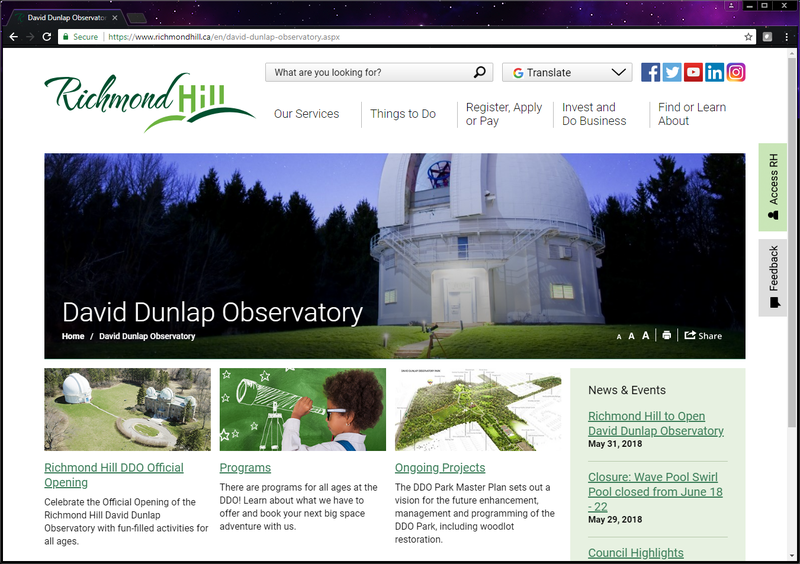 You can quickly access the web site by typing RichmondHill.ca/DDO into your favourite browser. Lots of information from the town on summer astronomy and science programmes as well as long range future plans.